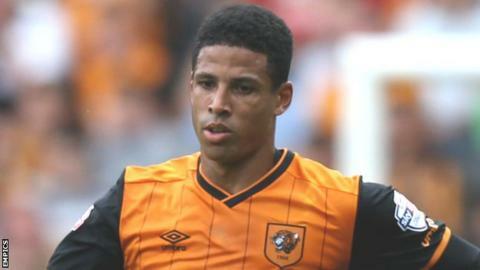 Hull City defender Curtis Davies has admitted he would have wanted to leave the club had he not regained his first-team place. The 30-year-old has featured in Hull's three games this season, but missed most of last term through injury. "If I wasn't going to play I would have wanted out, I'm not going to sugar-coat it," Davies told BBC Radio Humberside. "If you're in this league, of what I think my ability is, I can't afford not to play with a year on my contract." A thigh injury meant Davies' campaign was cut short last season, with his final appearance coming against Newcastle in January. "After the back end of last season it was tough being out in the cold and I didn't know what to expect and whether I'd be here," Davies said. "When you're a professional player, you want to play every game and I came back in pre-season extra-fit with a point to prove." Davies added that the club are determined to make an immediate return to the Premier League and admitted he was partly responsible for their relegation last season. "I made mistakes last season here and there but there were times where as a collective we were making mistakes, but I bore the brunt of it," Davies said. "We want to get back to the Premier League and for me the aim is to play as many games as possible and keep playing well."